Summer is upon us and it's already bestowing us with so many gifts — pool parties, 4th of July barbecues, and, of course, Discovery Channel's Shark Week. Sure, there are lots of reruns and some new series on TV right now, but it's not truly summer until the sharks grace the screen. 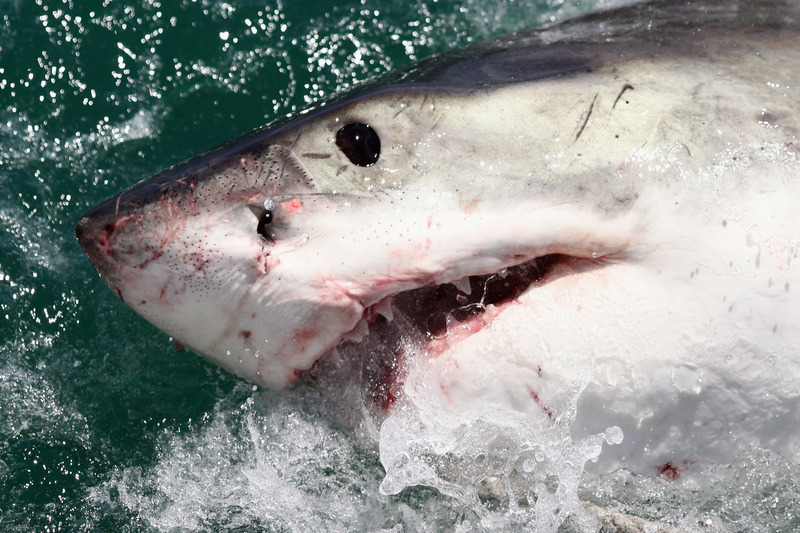 So, what's new for Shark Week 2015? There are a lot of new additions, but also lots of the same bite we've all come to love over the years. Discovery's aware of that, too — that's why Shark Week is officially starting in July this year. Shark Week is premiering a month earlier than in past years, because Discovery Channel boss Ric Ross wanted pair the programming block with the July 4th holiday. "This event is so synonymous with summer, I thought, 'Why not kick off true summer, which is July 4, with this blockbuster?'" Ross told USA Today. Shark Week 2015 will run from July 5 through 12, and there will even be another shark-themed weekend of specials in August, making Summer 2015 the most shark-tastic ever. It doesn't get any better than this, folks. So what other new stuff does Discovery have planned for this shark-tacular summer? Behold the list of new additions below. Since Shark Week is now more than a week, you can count on more hours of your beloved shark specials. According to a Discovery press release, this year's edition (plus its special weekend in August) has 19 hours of shark entertainment, the most hours of shark-themed programming in the event's 28-year history. For the first time, Shark Week will tell the tales of a set of sharks in Tiburones: The Sharks of Cuba. Together, American and Cuban scientists explore Cuban waters for undiscovered large sharks. According to a Discovery press release, the last monster shark to be discovered in the area was "El Monstruo," a 21-foot Great White shark. Can you name the fastest shark in the world? Can you name a type of shark that isn't a Great White? Me neither, but here's the answer so you can impress your friends — the Mako is the fastest and it can be found in the Gulf of Mexico, according to the Discovery press release. Not much is known about this speedy creature, but you can bet Shark Week is going to tell us more in Monster Mako. I don't necessarily like to play favorites, but this might be my favorite Shark Week special. It's feminist. It has a great pun. Let me explain: This program will search for Joan of Shark, which is according to Discovery, the largest female Great White shark ever be tagged. Get it? Joan of Shark is such a great name; I can't stop giggling. And she's a giant female, which means she can play ball with the guy sharks, right? We shall see. These swimmers don't need nunchucks. Ninja Sharks will look at different sharks that have have evolved over the years for the better — and how they're very good hunters in the sea. New editions of Alien Sharks, Shark After Dark, Sharksanity, and Great White Serial Killer await you. So what are you waiting for? Dive in and swim with the.... well, you know.